Letter to Congress~~Over 60 Billion Doses a Year and Not ONE Death, But Still Not Safe? Please send in your letter to Congress TODAY...THANKS DAVE FOR SENDING THIS IMPORTANT INFORMATION...IF NOT AVAILABLE I WOULD BE DEAD TODAY....SAD FACT BUT TRUE. Over 60 Billion Doses a Year and Not ONE Death, But Still Not Safe? Vitamins, minerals and herbal supplements have a tremendously safe track record, yet they are often singled out as being potentially dangerous by government agencies like the U.S. Food and Drug Administration (FDA). This – the notion that dietary supplements are unsafe -- is the premise behind the FDA's Draft Guidance on New Dietary Ingredients, which would require the supplement industry to prove the safety of natural ingredients that, in many cases, have been on the market and used safely for decades. As new research from the American Association of Poison Control Centers' National Poison Data System reveals, there were zero deaths linked to nutritional supplements in 2010, the most current data available. However, in the FDA's new Draft Guidance, the FDA is essentially claiming that dietary supplements are unsafe, and implying that in order to "protect consumers" the agency must place a stranglehold on the dietary supplement industry by requesting exorbitant safety testing. These ludicrous safety thresholds are in excess of those required by pharmaceutical drugs -- despite extensive toxicological data showing supplements are far safer than drugs. 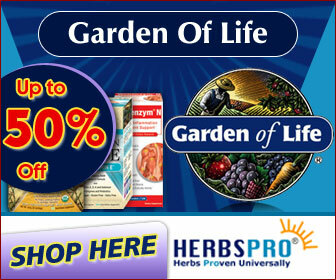 "Well over half of the U.S. population takes daily nutritional supplements. Even if each of those people took only one single tablet daily, that makes 165,000,000 individual doses per day, for a total of over 60 billion doses annually. Since many persons take far more than just one single vitamin or mineral tablet, actual consumption is considerably higher, and the safety of nutritional supplements is all the more remarkable. Over 60 billion doses of vitamin and mineral supplements per year in the USA, and not a single fatality. Not one. If vitamin and mineral supplements are allegedly so "dangerous," as the FDA and news media so often claim, then where are the bodies?" In striking contrast, drugs are known to cause well over 125,000 deaths per year when taken correctly as prescribed – yet the FDA allows "fast-track" approvals and countless new additions to the marketplace. So why are dietary supplements on the chopping block? Why is the FDA Attacking Dietary Supplements That Have Been Used Safely for Decades? Back in the early 1990s, the FDA threatened the availability of dietary supplements to the point that consumers staged a massive revolt, which resulted in the Dietary Supplement Health and Education Act of 1994 (DSHEA). The law specifically protects your access to dietary supplements by classifying them as foods, not food additives or drugs, and it grand-fathered in dietary supplements that were already in use as of 1994. Only novel ingredients introduced after October 15, 1994 are required to seek FDA approval. As a result, dietary supplements that have been freely available for nearly two decades can now be forced off the market until they receive New Dietary Ingredient (NDI) approval. And the NDI approval process is a lengthy affair that may take months or years to complete, and cost a small fortune. Bringing a drug from the pre-clinical (or discovery phase) all the way to market can easily take more than a decade and cost significantly more than $1 billion! This despite the fact that contrary to drugs, fatalities from vitamins and other supplements are minuscule. What might make an "old" ingredient "new," under the new regulation? The methods of production and extraction, for example … As bizarre as that sounds, the mere fact that a product is being extracted or produced by improved means compared to methods used in the past, could reclassify any grandfathered nutrient as an NDI that would now have to undergo the same type of safety testing and approval process as a drug. In some cases, the FDA will require manufacturers to conduct outrageously expensive studies using absurdly high doses, in some situations multiplied by a "safety factor" up to 2,000-times the recommended dosage on a per product basis. Further, the FDA proposes that new dietary supplement ingredients should adhere to aggressive safety margins, which are typically reserved for chemical compounds known to be dangerous in all but the most miniscule concentrations. Since food additives or preservatives such as aspartame, monosodium glutamate, and sodium nitrate are known to cause cancer or other severe health problems, the FDA has implemented safety guidelines that limit allowable concentrations of these food additives to levels that are supposed to be physiologically inert. The fact that the FDA is trying to impose the same limits upon dietary supplements seems to be arbitrary and completely unfounded. In fact, when someone takes a dietary supplement, their intent is to positively affect the structure or function of their bodies in some way -- limiting dosages of dietary supplements to physiologically inert levels defeats the entire purpose of supplementation with health-sustaining nutrients. And, since supplements are not patented drugs, virtually no supplement manufacturers will be able to afford these "safety" studies, which means that many of the nutrients you now purchase at low prices will convert into high-priced drugs, or simply disappear from the market entirely. If you extrapolate this number out over 30 years this is well in excess of 3 million people who died from taking appropriately prescribed legal drugs. It is simply incomprehensible that any rational approach would seek to vilify supplements over drugs when the data in no way, shape or form supports it. The most likely motive for this position is financial greed that can put your life in jeopardy. No one can sit on the sidelines with an emergency of this magnitude about to befall everyone who depends on dietary supplements. As citizens, we have the constitutional right to petition the government to redress our grievances. In this case, the FDA NDI proposals pose a direct threat to our health and longevity by threatening free access to dietary supplements with exemplary safety records. The Honorable _________________________ Washington, D.C. The FDA defines dietary supplements as being "new" if they were introduced after October 15, 1994. That means that nutrients that I have been safely using over the course of three decades will be subject to the FDA's oppressive policies that mandate costly animal testing, which translates into forced withdrawal from the market, and higher prices for me if the supplement is ever allowed to be sold again.